Are you looking for the perfect gift for a bris or baby naming? Or maybe you need to buy a mezuzah, a yarmulke, a Kiddush cup, or seder plate? And where the heck does one go to get a plastic shofar or a plush Torah–especially when they aren’t available on Amazon Prime? While almost everything can be purchased online these days, sometimes you need to see or touch something before you buy it, and some items are just much better purchased in person. Fortunately, the Baltimore area has several options for buying Jewish stuff in person, and we’ve put all of them together for you in one handy list. The Macks Center for Jewish Education’s in-house store for educators. Items include games, posters, bulletin board kits, Jewish-themed stickers, bookmarks, awards, and plush playsets for various Jewish holidays. Much of the inventory comes directly from Israel, and special orders and specific requests are welcome. Shabsi’s offers a wide array of Jewish books in Hebrew, English, and Judaica. A Baltimore institution, Zyzyx carries a large selection of Judaica, glass, ceramics, and art. Many pieces are one-of-a-kind items made exclusively for the gallery. Free gift wrap and custom orders available. Find the perfect gift for holidays, bar/bat mitzvahs, or weddings—or pick something up to beautify your own holiday table. All items are tax-free and all proceeds support synagogue schools and projects. A large collection of Judaica including Israeli jewelry, tallitot, wine glasses, prayer books, cookbooks, and oSet featured imagether Jewish literature as well as baby gifts. Personalized kippot, tallitot, and other items can be ordered as well. Gifts for bar or bat mitzvahs, weddings, anniversaries and birthdays as well as items to beautify your Shabbat or holiday celebration. A collection of unique, farm grown and handmade items. Popular items include handmade Goat’s Milk Soap, Dried Herbs, and homemade kosher jams. All items are tax-free and proceeds support the Pearlstone Farm and programs. The following national chains generally carry Judaica on a seasonal basis – particularly around Hanukkah and Passover. Inventory will likely differ from store to store. Getting ready to host a big Rosh Hashanah dinner or Passover seder? These stores are stocked with items you need to pull off hosting a big holiday meal–or even a small-ish Shabbat dinner. Those little plastic shot glasses you use for grape juice for Kiddush? Got ‘em. Fancy paper or plastic plates? They have those too. 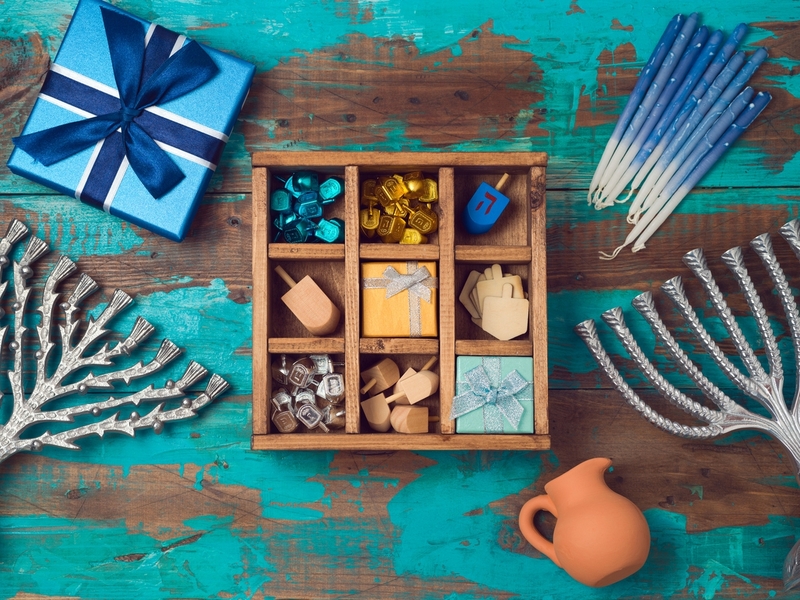 These stores also frequently carry seasonal Judaica items for holidays like Hanukkah or Purim. Everything you need to host your Shabbat or holiday dinner and more. Have something to add to the list? Email baltimore@kveller.com. Thanks.